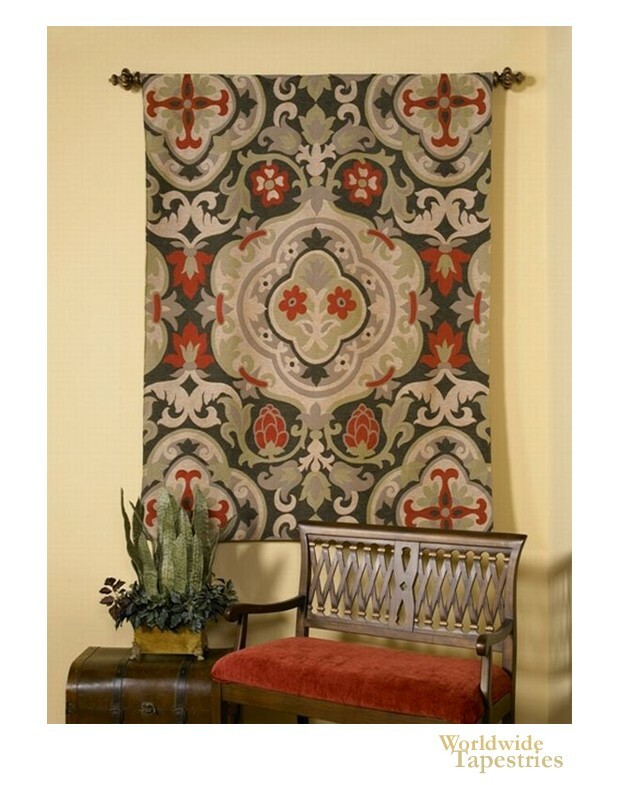 This art tapestry "French Antique" shows a geometric design in reds, olives, and blacks. This design was based on old French decorative art work, and here we see the floral and foliage inspired motifs to create a piece which provides decor and elegance to any room. This art tapestry "French Antique" is backed with a lining and has a rod pocket for easy hanging. Note: tapestry rod, where pictured, are not included in the price. Dimensions: W 57" x H 75"